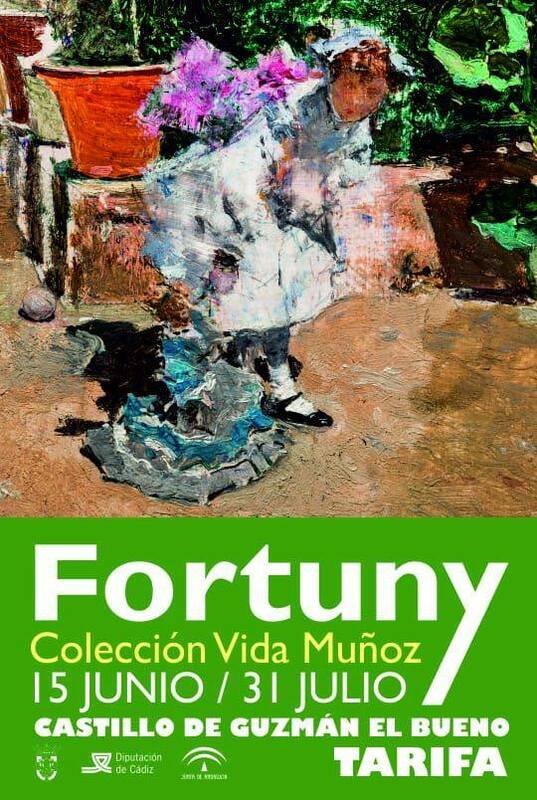 The City Council of Tarifa, through the delegation of Culture organizes a closing ceremony of the exhibition “Fortuny Vida Muñoz Collection”, installed since last June 15 in the exhibition hall of Castillo Guzmán el Bueno. From Culture it is wanted to indicate the term of the important sample with an appointment that a several artistic disciplines around the figure and work of Fortuny, as the artist evoked in some of his works like “the dream of Faust”. In this sense, the act will be attended by local artists Pepe Muñoz, director of the Municipal School of Music, Dance and Plastic Arts and Andrés Contreras, a local guitarist, who will perform several musical pieces. Very special, it will also be the inestimable collaboration of the journalist and writer from Algeciras, Juan José Téllez, who will delight the public with the reading of some of his poems. There will be, again, the words of thanks from the local authorities, who will express the gratitude of the people of Tarifa to the generosity of the collectors who have shared, for a month and a half, their works, exclusively with all the visitors of The exhibition. After it will give way to a few words by the owners Carmen Muñoz and Manuel Vida. Therefore, the delegation of Culture invites all interested people to attend this event next Sunday, July 29, 2018 from 19.30, when it will be accessed for free by the entrance of the Plaza de Santa María, to the Patio de Armas del Castillo, to officially close the “Fortuny Vida Muñoz Collection” exhibition, although it can be visited until July 31st.